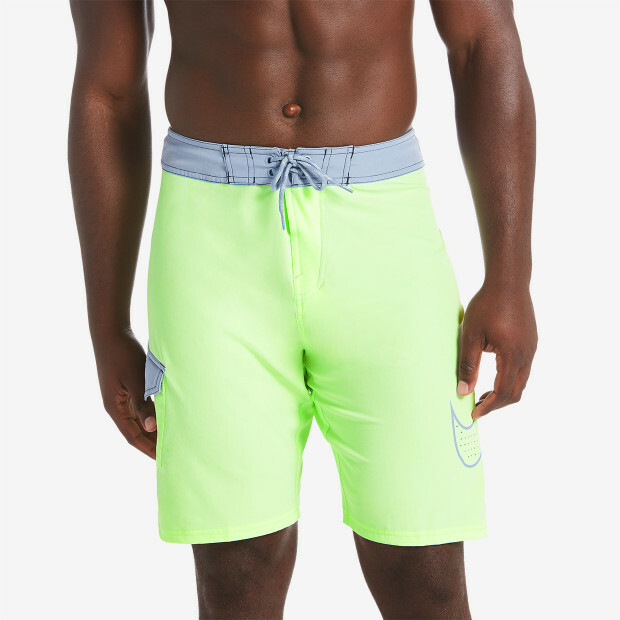 Nike Swim Men's Perforated Swoosh Drift 9" Boardshort offers more coverage with a longer leg and a solid color that looks great on land and in water. 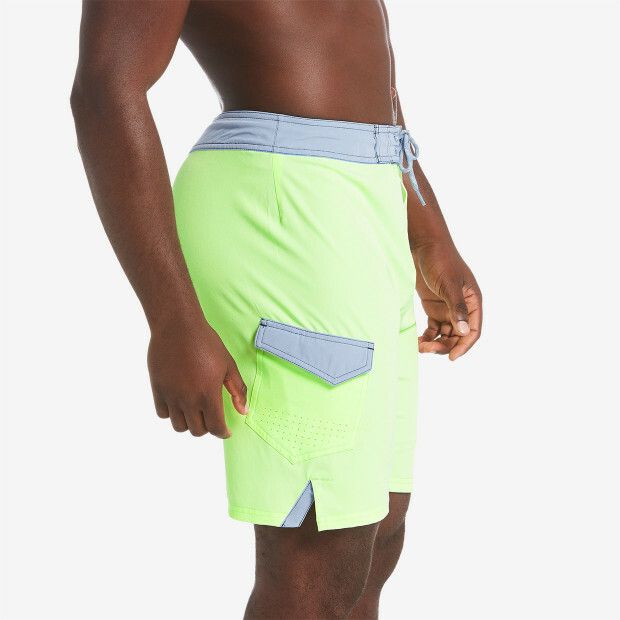 Perforated accents and water repellent fabric help your trunks dry quickly after swimming. 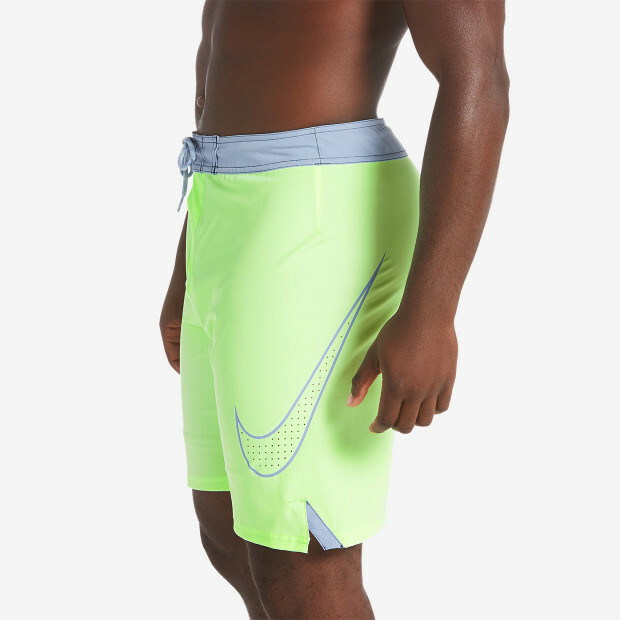 Customize the fit with a stretch fly and lace-up closure.